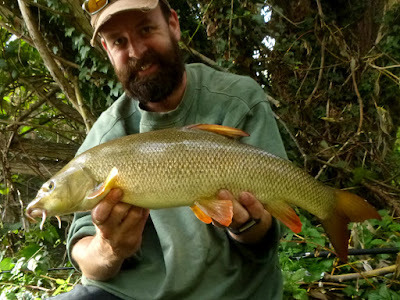 If I can string only a couple of hours together while the sun is still shining I'm hitting the river - I'll regret it otherwise when I'm thinking back in winter - a few smash and grab missions chasing barbel. Recapture above, although a long way from the original catch area. 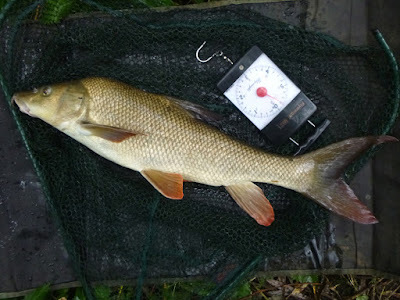 Glad I got to photograph this one again - is it the next evolution of barbel? More mussel and a massive tail - what a fighter! 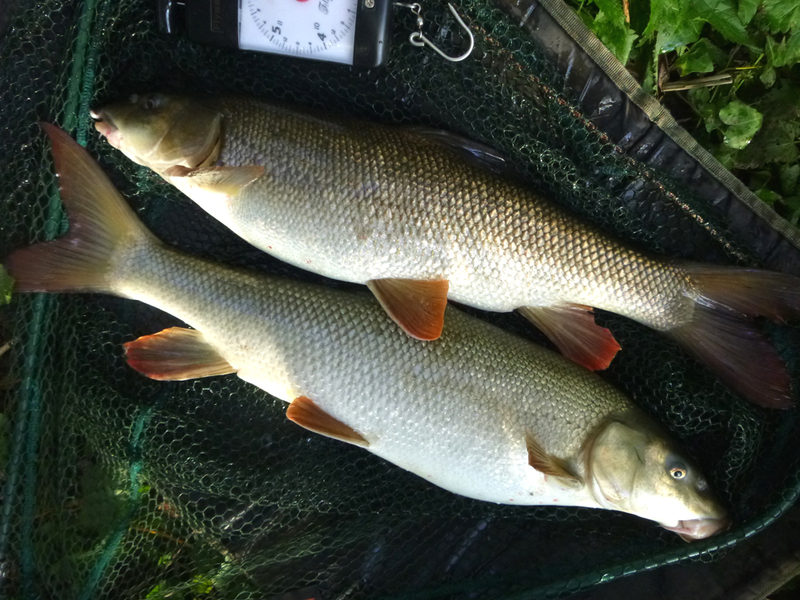 Double barbel! 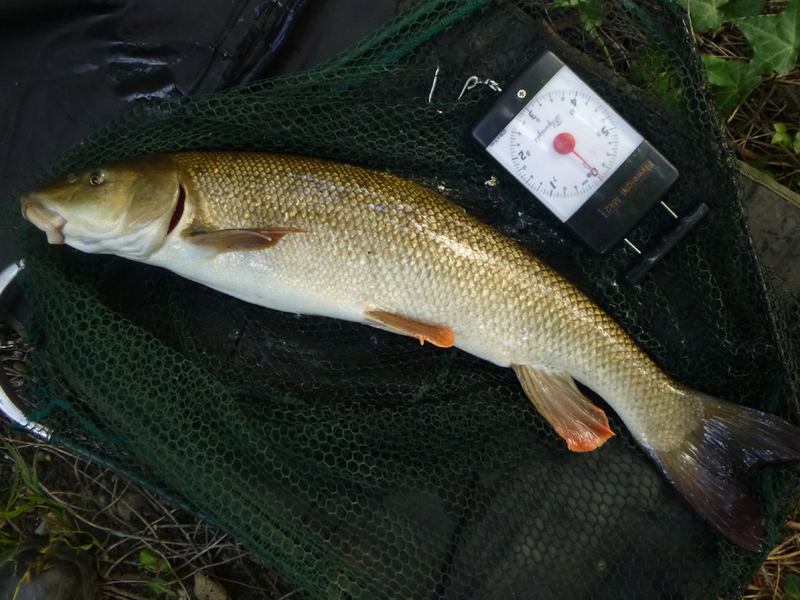 Two barbel in two casts, the first was recovering from a cracking fight in the net when his twin decided to join him - haven't managed that before - combine total 8lb 5oz! 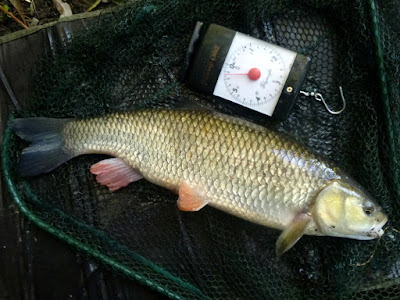 No big fish, mostly fours and fives - but fast and furious action, just what I want in the last of the year's sunshine. 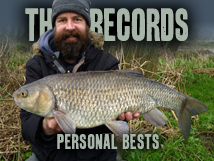 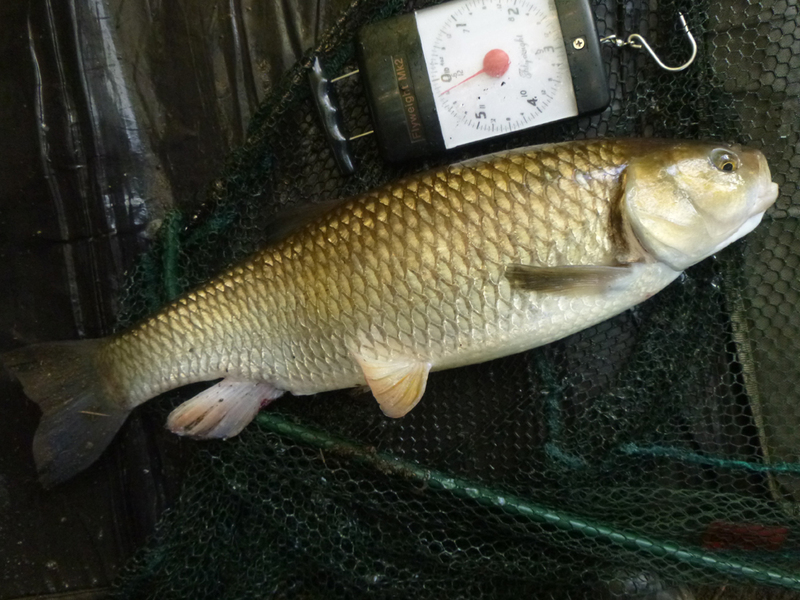 In fact the biggest was the long skinny 6lb 6oz barbel above.